Hearty congratulations go out to Knock’s first-ever Form 6 graduates who completed rigorous two-year programs earlier this summer and are now awaiting university acceptances. All four passed their national exams with flying colors. Edward, studying economics, commerce and accounting, scored Division I (the highest ranking). He is now spending the summer in the Tanzanian army, which has recently been made compulsory for most Form 6 finishers. Our strong female contingent, Joyce, Caroline and Salome, all scored Division II. Joyce, hoping to be a doctor, took a physics, chemistry and biology curriculum – no easy feat! Caroline studied history, geography and English in her quest to study law and Salome history, geography and Kiswahili. We are so proud of the hard work and dedication that has been put in by these four through the duration of their studies and to see their ambition remain strong. Education is truly a gift that has impacted these four in significant ways, and we can’t wait to see how they will come to impact the world. We held our annual meeting of all sponsored students on December 17. We had our best turnout yet of students and their parents/guardians, including those who do not live in the area. The first hour was spent reading through Knock’s policies and answering all questions from the students and parents. We discussed our expectations of the students’ behavior and signed agreements stating they read and understood the policy. Next we congratulated all our graduating students this year – 10 in total – who finished primary, secondary and vocational studies. 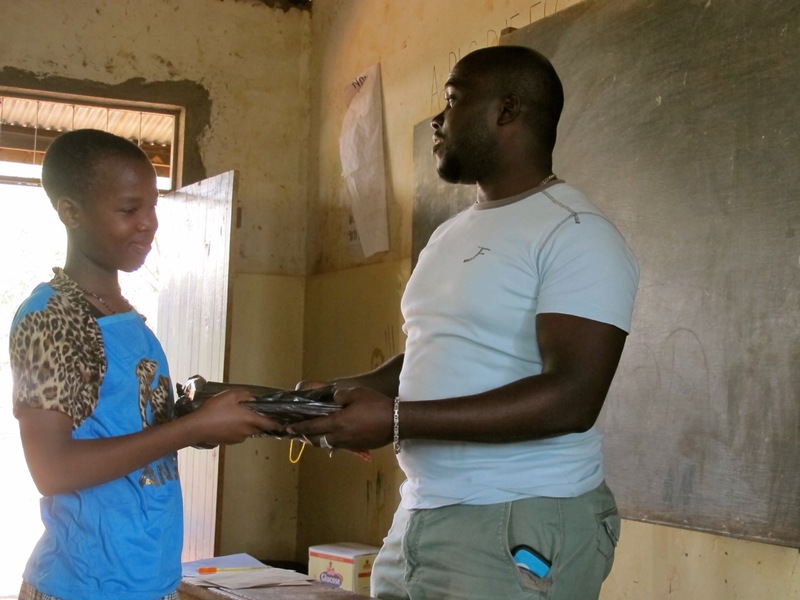 We also presented a well-deserved gift to Oliva, who finished 5th in her Form 1 class. We are so proud of her performance; coming from a Swahili-medium government school to an English-medium secondary school usually requires at least a one year adjustment period. But she clearly worked incredibly hard and her scores illustrate that. We have not yet received all students’ school reports – there are likely more who have scored in the top 5 of their classes. New to the meeting this year was the addition of a short seminar for our students, led by YOCOSO, the facilitators of our Conscious Clubs. The primary school students talked about cleanliness and hygiene, decision making and goal setting while the secondary school-aged students focused on good decision making and sexual and reproductive health. It’s important to us that we continue to provide this kind of education and open environment that is often missing from typical school curricula. Lastly, we served lunch and fielded any last questions and concerns from the students. Overall, it was a very productive meeting and we look forward to another successful year! As hard as it is for me to believe, Thanksgiving is just one day away. Leaving alone the sordid history that spawned this holiday, it provides an annual opportunity for us to stop, reflect and give thanks. I feel gratitude for so much in my life, but want to take a minute to reflect on two specific things. 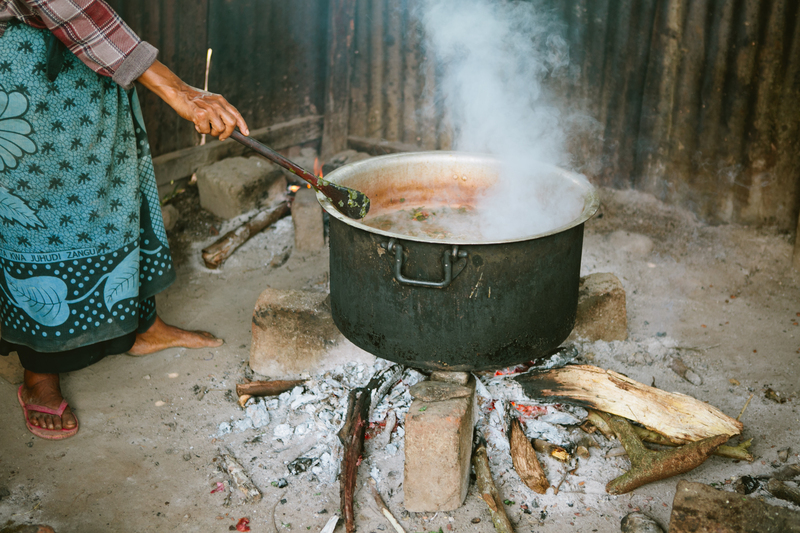 First, I am thankful for you, for being a part of the impact Knock is making in countries around the world. Your support allows us to provide otherwise unattainable opportunities to access health care, education and income-generating capital. This brings me to my second point of gratitude – the fact that in my life, I have been afforded all of these opportunities. It really comes down to an accident of birth and for that I am eternally grateful. There is always more work to be done, so consider making a contribution in honor of someone or something you are thankful for and that gratitude will be shared with our friends around the world. There have been some exciting developments at Knock Foundation Tanzania over the recent months. Just a few months ago, we took our healthy living seminar curriculum into primary schools as an after-school program. After a one-month trial in one school, we launched in three more! 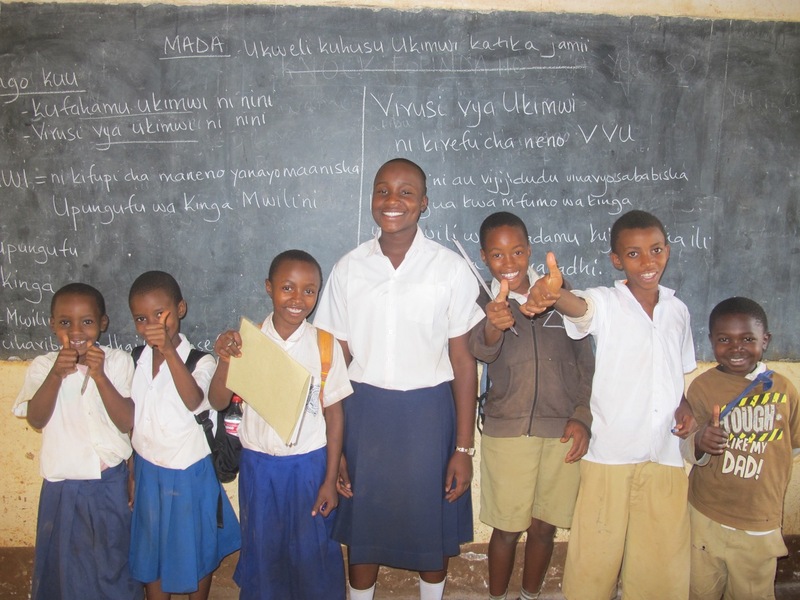 Meeting twice per week, the curriculum was developed in partnership with a youth-run, Tanzanian NGO. They cover topics in life skills, leadership training, confidence building and a range of health issues missing in the standard curriculum, through a highly participatory method incorporating drama, music and dance. Each club has 60 students, divided equally between girls and boys across grades 3-7. The students are loving it and we can already see a high demand for next year. We excitedly announce the renaming of our business development program. 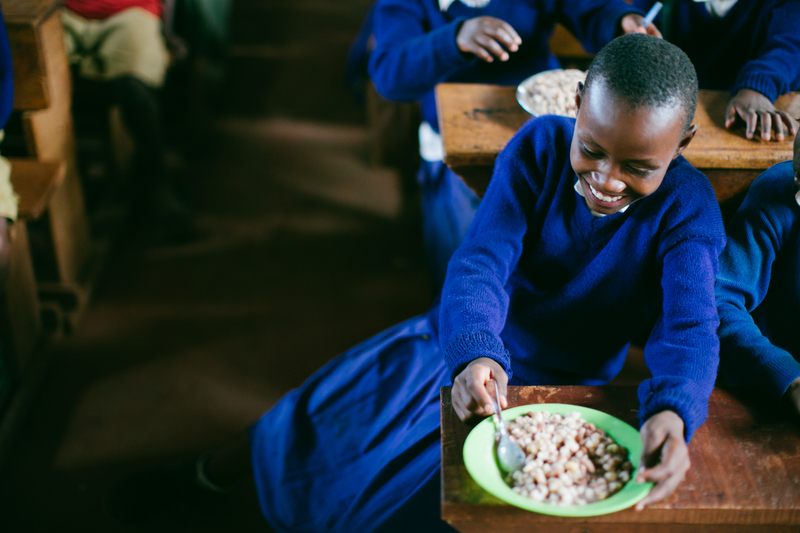 Chipuka (chee-POO-kuh), meaning “sprout” in Swahili, refers to the rising income levels and earning capability of our loan recipients as a result of the initial funds received. 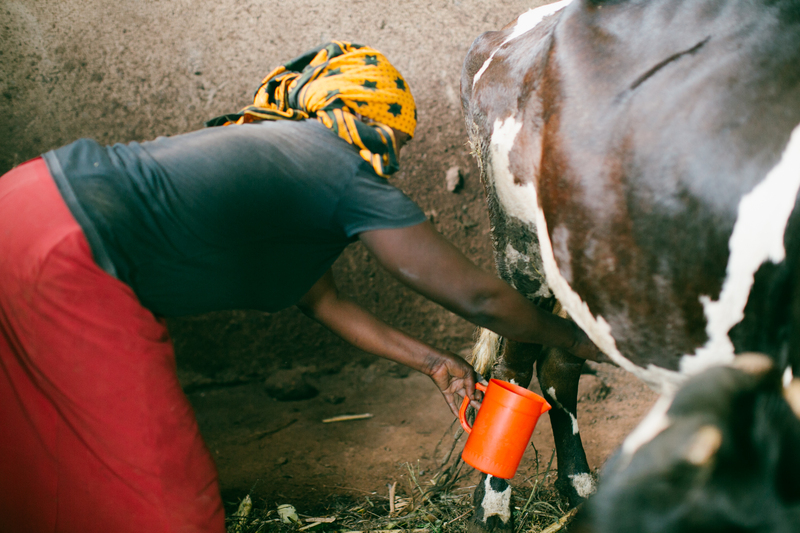 Our loans are typically used in the purchase of productive assets in animal husbandry and agriculture. 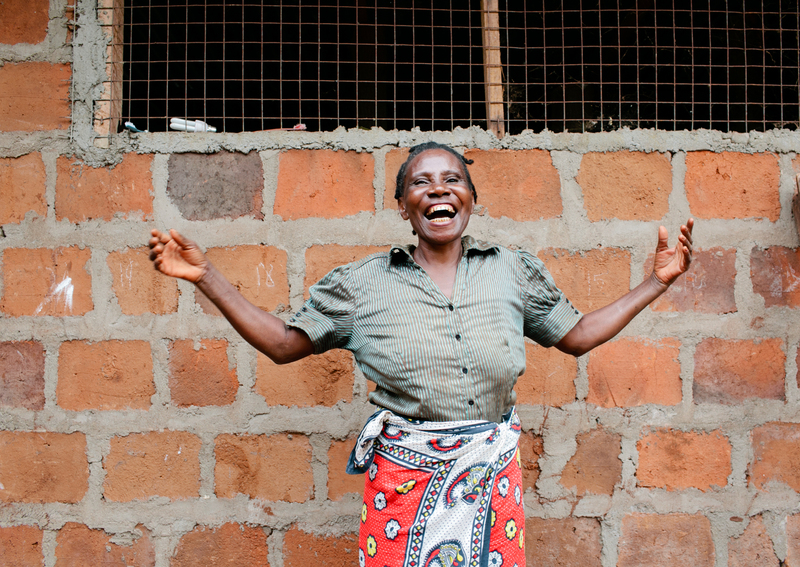 Emertha Chuwa, a two-time borrower with us, has used her increased earnings to begin construction on a two-roomed brick house that will replace the deteriorating, mud structure and single bed she currently shares with four family members and their open fire cooking space. 2015: Off to a great start! Knock has had a productive and exciting couple of months in Tanzania! We held our annual meeting of scholarship students in early January, where we welcomed two new students and discussed student performance and our expectations. 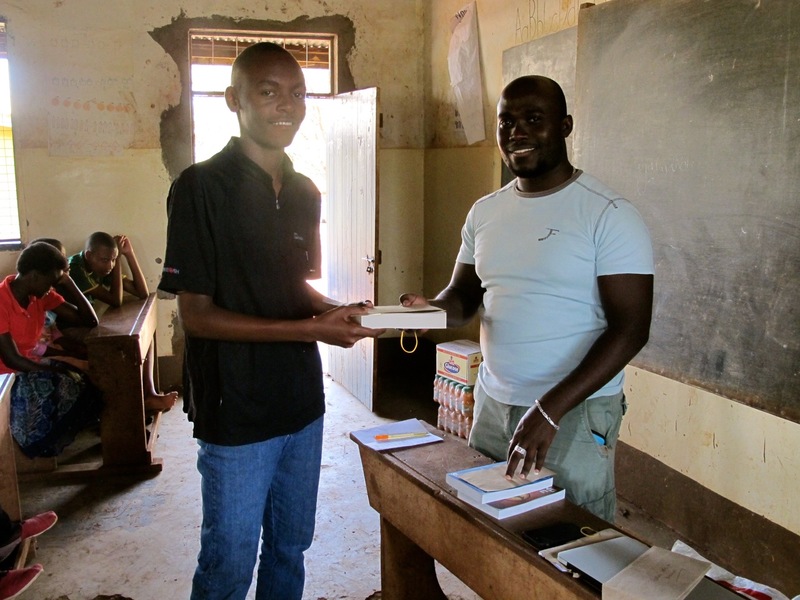 Last year, through advice from our students, we agreed to offer gifts to those who finish top five in their class. This year, we had three such students – Sharifa (Class 6), Evance (Form 3) and Evarist (Form 3) – and were thrilled to present them with gifts [see above photos: our Country Manager, Max, presents gifts to the three students]. We also had two Form 5 students who after their first term, were in the top five of their classes, so we will award them in June if they maintain their status. Our first primary school club was piloted in February with 60 eager and bright young minds. The club is comprised of 60 girls and boys from classes 3-7. Meeting after school twice per week and taught by some incredibly awesome young peer educators from a Tanzanian NGO called Youth Control Society (YOCOSO), the club covers important life skills topics such as self-esteem and decision making, reproductive health, drugs and alcohol and HIV/AIDS. Teaching methods vary from traditional to using song, dance and drama. The students elected their own student leadership who help manage the day-to-day of the club. The pilot month went exceptionally well and we have already added two more schools! We have recently built a new board of directors in Tanzania to help drive the strategy and growth of Knock’s programs there. Our first board meeting was held in January where voting took place for board positions. We are really looking forward to the increasingly local ownership of Knock’s work. 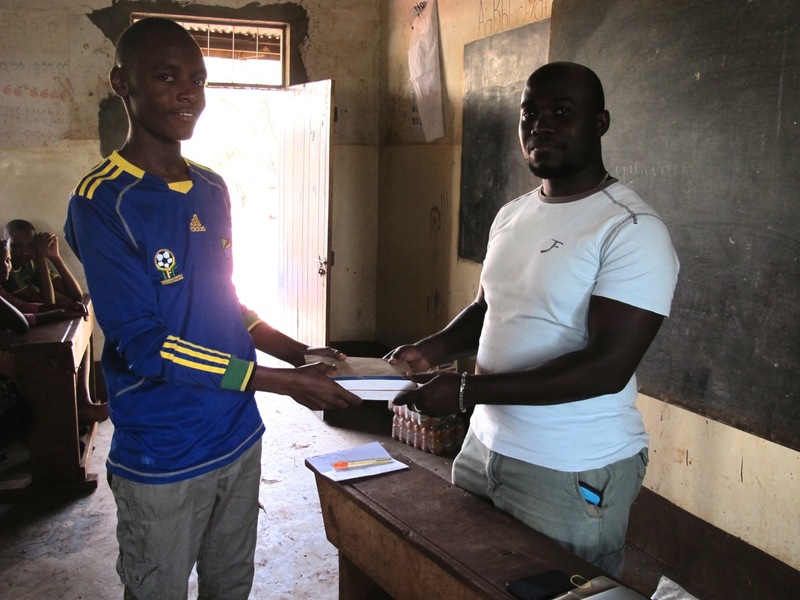 We added 7 more students to our scholarship program this year, bringing our total to 43 sponsored students in a variety of primary and secondary schools and technical training programs throughout northern Tanzania. Four students are entering great secondary schools and we are anxious to watch their success continue. Edwardi, Salome, Caroline and Joyce all joined advanced level programs (Form 5) in pursuit of their professional goals. Joyce, who is studying a Physics, Chemistry and Biology track in hopes of going to medical school, ranked first in her class after the first semester. We are so proud! It continues to be an honor to watch all of our students grow throughout the years and begin to realize opportunities not otherwise easily available to them. This year we reinstituted our provision of access to capital for small business development. Focusing on agriculture and animal husbandry, Knock gave out an average of $1,000 each to several individuals earlier this year. 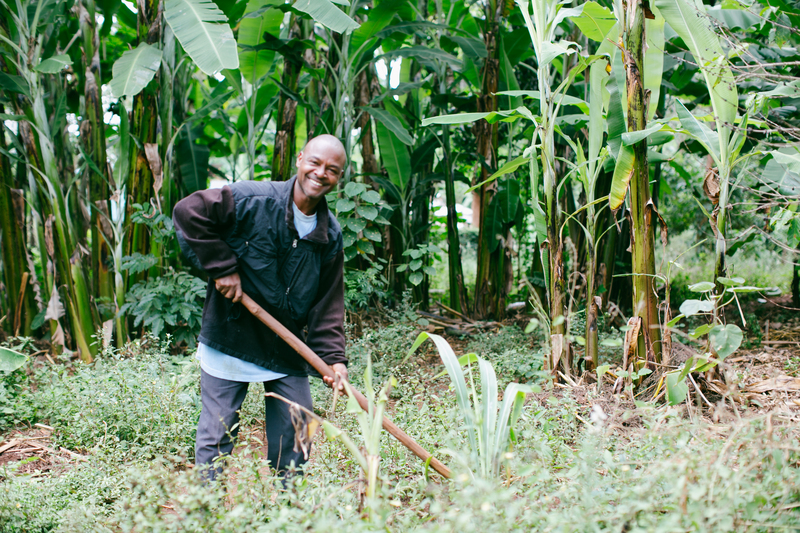 We are anxious to see the results of these loans and how they help to propel lives forward. Knock continued our ongoing medical missions with another trip to Nicaragua in October, with one set of doctors working in pediatric urology in Managua and another at a regional hospital in Jinotega. As in past missions, we trained local doctors and donated life-saving medical equipment to both areas, and fulfilled promises we made from previous trips in 2013. Our medical mission is unique compared to those of other surgical missions with whom we are familiar. Our focus is on training and giving the equipment that hospitals do not/cannot get on their own; we work with their staff, ensuring that they can continue after we leave. This is consistent with Knock’s mission of developing self-­sustaining practices to assist the community. To date, Knock has shipped over $750,000 worth of medical equipment and supplies. 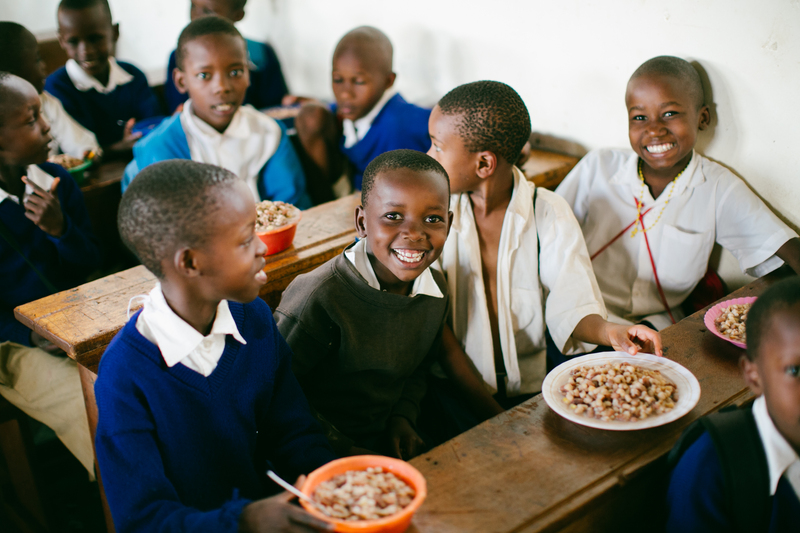 Knock provided daily school lunch in Tanzania at Mrupanga Primary School for the sixth consecutive year and at Longuo Primary School for the third consecutive year, to a total of over 850 students. Student attendance and performance continues to be strong as a result.